We know that each campus and community is different. The CAMPUSPEAK TEAM tailors our Interactive Workshops to meet your unique needs to truly make an impact. Our facilitators are located throughout the United States and are esteemed professionals in the field of Higher Education. They are devoted to student development, not only in their roles as a facilitator, but also in their careers and through their volunteer commitments in various higher education associations and national organizations. Looking for someone with a specific area of expertise? Just let us know! Our three lead facilitators are experts in their curriculum. Not only can you bring them to your campus, but they are going to be responsible for training our new facilitators each year. Austin Arias trains and facilitates for the Finding Your Why and Council Surge workshops, Angel Garcia leads Building New Leaders and Leadership Plunge, and Jamison Keller oversees Crossing The Line. Austin received his Bachelor of Arts in Mass Communications from the University of South Florida, St. Petersburg and his Master of Science degree in College Student Personnel Administration from Illinois State University. He currently serves as the Director of Student Involvement at William Peace University in Raleigh, North Carolina. He is a member of Pi Kappa Phi Fraternity. Angel received his bachelor’s degree in psychology and his master’s degree in higher education and student affairs from Florida International University. Angel is a Captain in the United States Army and is a member of Tau Kappa Epsilon Fraternity. Jamison received his bachelor’s degree in psychology from California State University, San Bernardino and his master’s degree in education from Azusa Pacific University. He also earned his doctorate in education from the University of Southern California. Jamison currently serves as the Assistant Dean of Students and Director of Greek Affairs at the Georgia Institute of Technology. Jamison is a long time volunteer and a member of Sigma Nu Fraternity. Learn more about our experienced Interactive Workshop facilitators that you can bring to your campus. Eddie received his bachelor’s from the University of Alabama at Birmingham and his master’s degree in higher education leadership from Capella University. 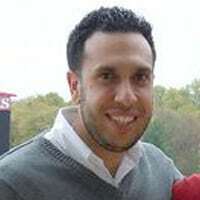 Eddie currently serves as the Director of Fraternity and Sorority Life at the University of Pennsylvania and is a member of Kappa Alpha Psi Fraternity, Inc.
Kevin received his bachelor’s degree in business administration and his master’s degree in instructional leadership from Robert Morris University in Pittsburgh, PA. He is currently pursuing his Ph.D. in higher education administration at Texas A&M University. Kevin has spent over ten years working in higher education and the non-profit industry. He is a member of Phi Delta Theta Fraternity and resides in College Station, TX. Keith received his bachelor’s degree in business administration from Western Michigan University and his master’s degree in counselor education from Clemson University. He is currently the Chattanooga Property Manager for Walk2Campus and is a member of Sigma Phi Epsilon fraternity. 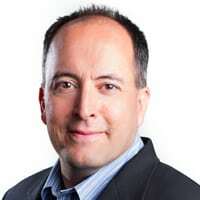 Jeff currently serves as Director of the Decision Services Unit at the University of California San Francisco Medical Center and is a professor at UCSF where he studies and teaches leadership, teamwork, and decision-making. Bre earned her Doctorate of Philosophy in counseling and student personnel services from the University of Georgia, Masters of Science -in higher education/student affairs from Florida State University, and her bachelor’s degree in business administration with a concentration in marketing and management from University of North Georgia where she was initiated as a member of Delta Zeta Sorority. Her dissertation topic, Being a Minority in a Majority Situation: A Phenomenological Investigation of Black Women in Historically White Greek-lettered Organizations, explored the experiences of these women within their organizations. Bre currently resides in Atlanta, Georgia where she serves as the Director of Fraternity and Sorority Life at Kennesaw State University. Brittany received her bachelor’s degree in recreation and tourism management with a focus in event planning from California State University, Northridge and her master’s degree in postsecondary education and student affairs from the University of Southern California. Brittany currently serves as the Director of Fraternity & Sorority Life at Coastal Carolina University and is a member of Delta Delta Delta Sorority. Nate received his bachelor’s degree in Organizational Communication from the University of Central Oklahoma and master’s degree in college student personnel from Bowling Green State University. Nate is a former Student Affairs professional and currently serves as Senior Trainer at an anti-violence nonprofit organization in Washington, DC. Nate is also a member of Pi Kappa Alpha Fraternity. Dennis Campbell Jr. received his bachelor’s in political science from the University of Akron and his master’s degree in leadership in higher education from Baldwin Wallace University. Dennis currently serves as the Assistant Director for Fraternity and Sorority Life in the Center for Student Involvement at Kent State University and is a member of Sigma Nu Fraternity. Victoria received her bachelor’s degree in political science and African American studies from Syracuse University and her master’s degree in professional counseling with a concentration in college student affairs from the University of West Georgia. She currently lives in Atlanta, GA where she serves as the Assistant Director of Student Conduct at Emory University. Additionally, Victoria serves on the board of Lambda Phi Epsilon International Fraternity, Inc. as the Director of Chapter Development and is a member of Kappa Phi Lambda Sorority, Inc.
Emilie received her undergraduate degree in Government & Politics from the University of Maryland, College Park. 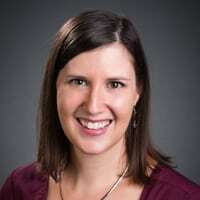 Upon graduation, Emilie then earned two master’s degrees; the first in elementary education from North Carolina State University and the second in student affairs in higher education from Indiana University of Pennsylvania. 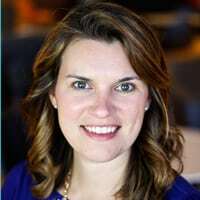 She currently serves as the Senior Coordinator for Education, Innovation & Entrepreneurship at Duke University and is a member of Alpha Delta Pi Sorority. 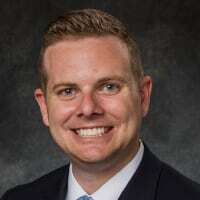 Dan received his bachelor’s degree in communication and leadership studies from the University of North Carolina at Wilmington and his master’s degree in educational administration and leadership affairs specializing in student affairs from the University of the Pacific. Dan currently serves as the Regional Network Director at UCLA Alumni and is a member of Theta Chi Fraternity. Alex received a bachelor’s degree in graphic design from the Rochester Institute of Technology and her master’s degree in higher education administration and student affairs from the University of Rochester. Alex currently serves as the Assistant Director of Campus Activities & Programs at Bucknell University, a Crossfit Level 1 Trainer at Crossfit Bruin and is a member of Alpha Sigma Alpha Sorority. Patrick received his Bachelor of Applied Arts in sports studies from Central Michigan University and his Master of Education (college student personnel) from Western Carolina University. He is a member of Sigma Alpha Epsilon and volunteers his time for several of their leadership development events. 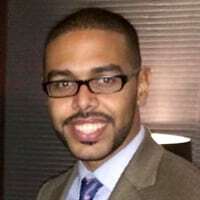 He currently serves as the Leadership Programs Coordinator at Fort Lewis College in Durango, CO.
Keith received his bachelor’s in Management with a minor in Hispanic Studies from Baruch College of the City University of New York and his master’s in Educational Administration with a specialization in Student Affairs from the University of Nebraska-Lincoln. Keith currently serves as an Advisor within Fraternity and Sorority Life at the University of Minnesota and is a member of La Unidad Latina, Lambda Upsilon Lambda Fraternity, Inc.
Kyle graduated from Lycoming College with a Bachelor’s degree in Sociology/Anthropology and received his Master’s degree in Higher Education with an Emphasis in College Teaching (with a concentration in psychology) from Texas A&M University-Commerce. He currently serves as the Senior Director of Member Development for the Phi Kappa Psi Fraternity and is a member of Phi Kappa Psi. Amanda received her bachelor’s degree in paralegal studies and her master’s degree in student development practice in higher education from St. John’s University in New York. Amanda is currently pursuing her Ph.D. in educational leadership and research at Louisiana State University and is a member of Theta Phi Alpha Fraternity. Kristen received her bachelor’s degree in communications with an emphasis in media studies from Adelphi University and her master’s degree in higher education administration from the University of Massachusetts Amherst. Kristen currently serves as the Assistant Director for Sorority & Fraternity Life at Ohio University and is a member of Delta Delta Delta Fraternity. 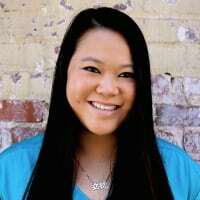 Lynsy received her bachelor’s degree in accounting from Bradley University in Peoria, IL and her master’s degree in educational policy and leadership from Marquette University. Lynsy currently resides in Indianapolis where she serves as the Director of Educational Initiatives for Delta Sigma Phi Fraternity. Lynsy is a member of Alpha Chi Omega Sorority. Lauren received her bachelor’s degree in communication studies and German with a minor in intercultural communication and her master’s degree in college counseling and student development from St. Cloud State University. 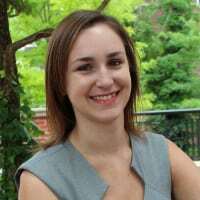 At this time, Lauren resides in Bloomington, IN, and is the Associate Director of the Civic Leaders Center at Indiana University. Additionally, Lauren serves as a Co-Coordinator for Social Media and Communications with NASPA’s Student Leadership Programs Knowledge Community (SLPKC). Victoria serves as the Associate Director for Student Development in Campus Recreation at The University of Texas at San Antonio (UTSA). At noon she hosts “Happy Hour” at the Rec Center where she teaches cycle classes that connect mind, body, and FUN. Her passion for equity, access, and support for underrepresented students has guided her work in the field of Student Affairs for over 15 years. Victoria has served in administrative capacities at Columbia University, The New School, Cornell University, and Texas State University – San Marcos where she earned her Bachelor and Master Degrees. A New Yorker at heart, Victoria is passionate about bagels, yoga, accessories and her active membership in Gamma Phi Beta sorority. Rafael received his Bachelor of Fine Arts with a minor in sociology, and a master’s degree in public art studies from the University of Southern California. He currently does educational consulting and teaches art and leadership development to middle school students. He is a member of Phi Beta Sigma Fraternity, Inc., where he serves as the International Project Manager for the MIP Revision Team and the Eastern Region Mentor Coordinator. Courtney McKenna is the Case Manager in the Dean of Students Office at Quinnipiac University where she is responsible for case management, prevention education, and student conduct. As the Chair of the University CARE Team, a hybrid behavioral intervention and threat assessment team, she receives all referrals for students of concern and develops intervention and support plans in partnership with campus colleagues. This past year she convened and chaired the University Prevention Task Force where she leads the group of faculty, staff, and students through a strategic planning process to develop an integrated approach to university prevention initiatives around alcohol/drugs, sexual misconduct, and student wellness. As a trained investigator and hearing panel member for matters of sexual violence and gender discrimination, Courtney serves as a member of the Title IX Team and the Title IX Campus Resource Team (CRT). She enjoys designing and facilitating training for faculty, staff and students on topics including, but not limited to, identifying and supporting students of concern, de-escalation and crisis management, bystander intervention, understanding sexual violence, and more. With over 10 years of experience in Student Affairs, Courtney’s roles have included fraternity & sorority life, student leadership development, and new student and orientation programs. Erika received her bachelor’s degree in human environmental studies with an emphasis on child development and her master’s degree in education with an emphasis on educational leadership and policy analysis from the University of Missouri. Erika earned her doctoral degree in education with an emphasis on adult learning principles from Lindenwood University. Currently, Erika does consulting work with colleges and universities across North America as well as various non-profit organizations; she is also a member of, and active volunteer for, Pi Beta Phi Fraternity. Tony received his bachelor’s degree in political science from Georgia Southwestern State University and his master’s degree in leadership and policy studies with a concentration in student personnel. Tony is a former two-term Student Government Association (SGA) President. He currently resides in Dallas, TX where he serves as the Coordinator for the Office of Student Conduct & Community Standards at Southern Methodist University (SMU). 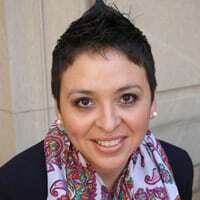 Monica received a Bachelor of Science degree in Spanish with a minor in psychology and a Master of Science degree in educational administration and policy studies from the University at Albany. She is in the midst of her dissertation stage in pursuit of a Ph.D. in educational leadership at the University of Rochester. 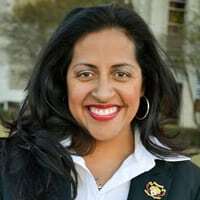 Monica currently serves as the Director of the Center for Student Involvement at the University of South Florida, is the past President of the Association of Fraternity/Sorority Advisors, and is a member of Omega Phi Beta Sorority. 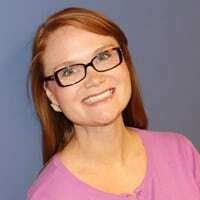 Kari received a bachelor’s degree in public relations from Valparaiso University and her master’s degree in leadership and student affairs from the University of the Pacific. Kari currently serves as the Associate Director of Student Life at Ball State University, is an avid runner and is a member of Kappa Delta Sorority. 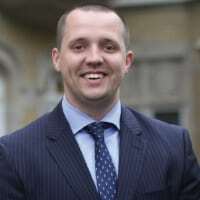 Jameson received his master’s degree in higher education from Harvard University and his bachelor’s degree in management from Case Western Reserve University. He serves as the Chief Programs Officer for Kiwanis International where he oversees the Kiwanis Service Leadership Programs – a portfolio of five youth, collegiate, and adults living with disabilities organizations that have more than 350,000 members in nearly 10,000 clubs across 34 nations. Jameson is a member of the America Society of Association Executives and Delta Tau Delta Fraternity. Marilyn received her bachelor’s degree in zoology from the University of Arkansas and her master’s degree in postsecondary educational leadership with an emphasis in student affairs from San Diego State University. Marilyn currently serves as the Coordinator of Greek Life at the University of Texas at Austin and is a member of Zeta Tau Alpha Fraternity. Neil received his bachelor’s degree in journalism with an emphasis in radio and television from the University of Missouri and his master’s degree in education with an emphasis in student affairs leadership. He currently works as the Associate Director of Development, Delta Zeta. Neil has over ten years of higher education and fundraising experience. He advised the fraternity and sorority communities at William Woods University (Fulton, MO) and Virginia Commonwealth University (Richmond, VA) – he also has experience in leadership development, campus programming, and alumni relations. Neil’s fundraising experience includes fraternity and sorority capital housing campaigns, annual giving and communications. His favorite part of fundraising is to connect someone to a cause they are passionate about. 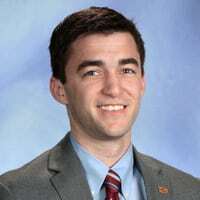 Michael received his bachelor’s degree in family and consumer science with a concentration in early intervention at Winthrop Univervistyand his master’s degree in Counselor Education and Student Affairs from Clemson University. Michael currently resides in Clemson, SC where he serves as the Assistant Director for the Office of Community and Ethical Standards. Aside from his full-time job, Michael also serves as a volunteer for Tau Kappa Epsilon and is a member of Tau Kappa Epsilon Fraternity. Kate has been a professional facilitator, for over ten years, facilitating programs for both her sorority, Kappa Kappa Gamma, and CAMPUSPEAK. 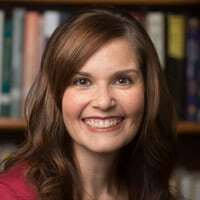 She holds a Bachelor of Science degree in Family and Consumer Sciences from the University of Wyoming, a Master of Counseling degree in Student Affairs and College Counseling from Idaho State University and recently received her Ph.D. in Counselor Education and Supervision from the University of Wyoming. Her areas of interest and research include wellness and burnout, mental health, leadership, and resiliency. 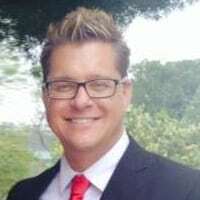 Curtis received his bachelor’s degree in international business, operations supply chain management, and middle eastern studies from Marquette University and his master’s degree in curriculum and instruction, college student affairs from the University of South Florida. Curtis currently serves as the Assistant Director, Creighton Intercultural Center at Creighton University and is a member of Kappa Sigma Fraternity. Shane received his Bachelor of Science in finance from the University of North Carolina at Charlotte, in Charlotte, NC and his master’s degree in higher education administration from North Carolina State University. 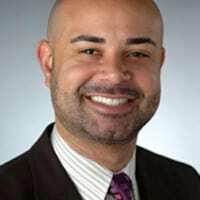 He is a member of Kappa Alpha Psi Fraternity, Inc. Shane currently serves as the Assistant Director for Fraternity and Sorority Life in the Office of Student Involvement and Leadership at Johnson & Wales University in Providence, Rhode Island. Rolando is a college life coach at Florida State University and believes in helping others find their why in life. He also teaches leadership and empowerment at Florida State University to students of all levels. Rolando grew up in Miami and loves the outdoors. His side hustle is working as a high ropes course facilitator, which he says is his excuse to play on a giant adult jungle gym! 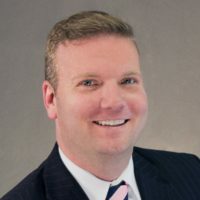 Brent received his bachelor’s degree in government from The College of William and Mary and his master’s degree in higher education and student affairs from The Ohio State University. 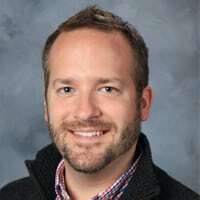 Brent currently serves as the Executive Director of Campus Life at Northwestern University and is pursuing his doctorate in higher education administration at New England College. Kristen earned a B.S. in Sociology and Leadership from Chapman University and a M.S. in Student Affairs and Higher Education with a Diversity, Equity, and Dialogue concentration. Kristen is a sister of Alpha Phi Fraternity. Currently, she is the Coordinator of Greek Life and Community Engagement at California State University, Monterey Bay. Julie received her bachelor’s degree from Baldwin Wallace University with a degree in German and public relations and her master’s degree in college student personnel from Bowling Green State University. Julie currently works as an Area Director in the Office of Residential and Commuter Life at Capital University and is a member of Phi Mu Fraternity. When not working, Julie can be found finishing puzzles with her partner, playing video games, and endlessly scrolling through dog-related Instagram accounts.